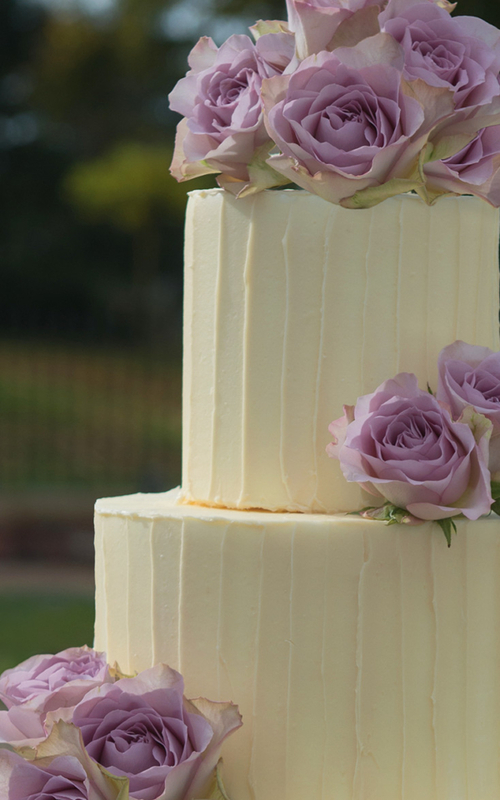 Stylish three tier rustic wedding cake with a textured white chocolate ganache icing. 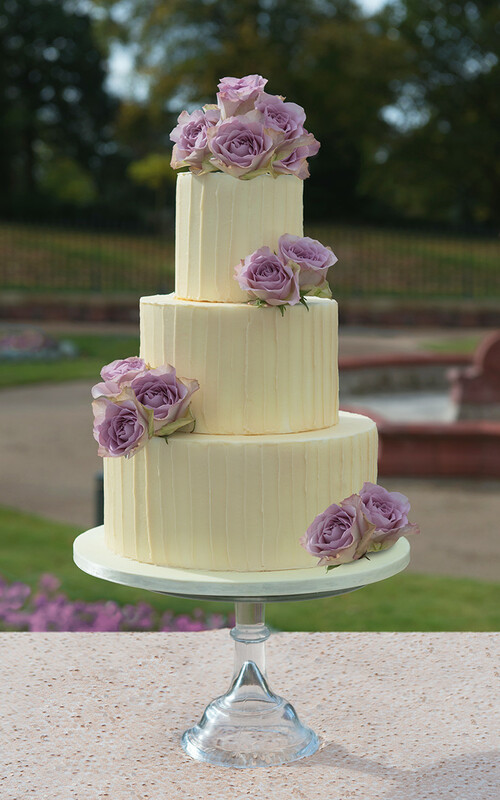 This cake design has a natural and rustic finish but is also elegant and romantic. Finished with fresh lilac roses and rose topper.